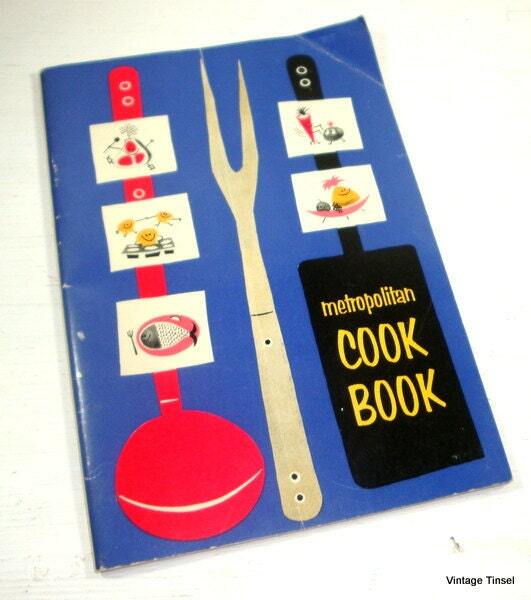 Vintage Metropolitan Cook Book, dated 1957, Paper book full of recipes. Spine intact, all 56 pages clean and intact, no offensive odors. Measures 7 1/2" x 5 1/2". Some creases and minor stains as expected from age. More cookbooks? Combined shipping is available.